We love our pets, but they can leave behind a lot of dirt and hair. 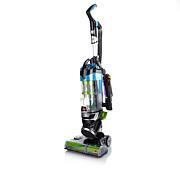 Eureka has you covered with this upright vacuum featuring a direct air path from floor to cup to decrease the distance dirt travels. For attachment cleaning, simply set the suction control dial to "tools." 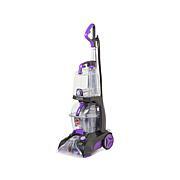 You'll also appreciate the bagless dust cup and deep cleaning performance on carpets, hardwood and bare floors. Bring it on, Fido! Cleaning Path Width: Approx. 13"
Set suction control dial to "tools"
Just prior to receiving this vacuum cleaner I vacuumed my room (a non-traffic area) with my old vacuum. I put my new Airspeed Unlimited together which was fairly simple, it took me less than 10 minutes. I immediately I wanted to see how it worked so I decided to re-vacuum my room the same room that I just previously vacuumed: I was astonished on how much dirt, hair and dust were vacuumed up & collected! This vacuum cleaner is awesome and suctions up so well! The turbo nozzle tool is fantastic! Great for my living room and bedroom area. Easy to put together. Loved all the attachments. Worth the money when you need a vacuum and can only do payments. I bought this vacuum because my old one had broke. 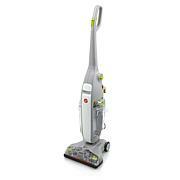 This vacuum is easy to handle, picked up an amazing amount of dirt, and has great attachments. 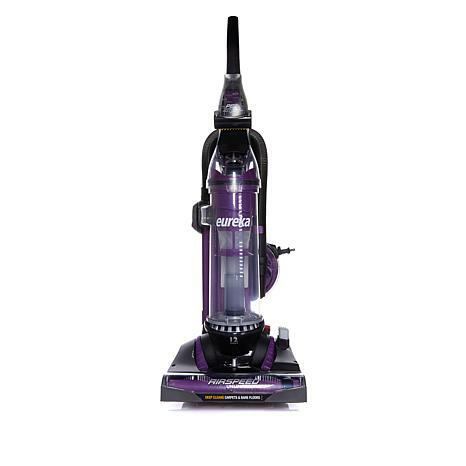 I have severe allergies but since using this vacuum, I am breathing so much better. Great product at a great price! Upon assembly, i found i had to reposition the brush belt, apparently from shipping. 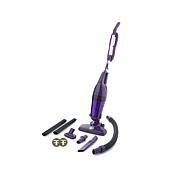 After complete assembly, i found the vacuum a very good product, with very good suction. I like the cord rewind, so easy to store. I am very happy with the Eureka. Id recommend to everyone. I have never had a vacuum that work this good. It would like to pick the carpet right up off the floor.